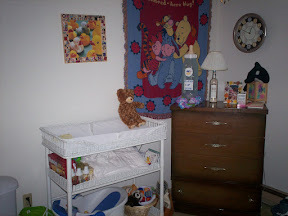 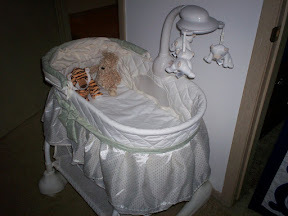 So our apartment is pretty much put together now, and about as ready as it will ever be for the baby. 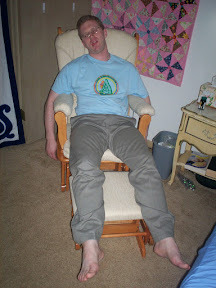 Here is Chris, exhausted from the whole fifteen minutes it took to set up the rocking chair. 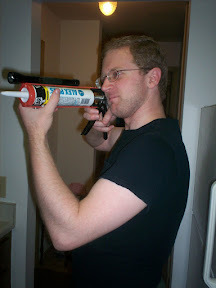 And here he is arming himself against the dangers of home improvement.